Why Limit Oneself To The Ground? Green roofs have long been popular in Europe. 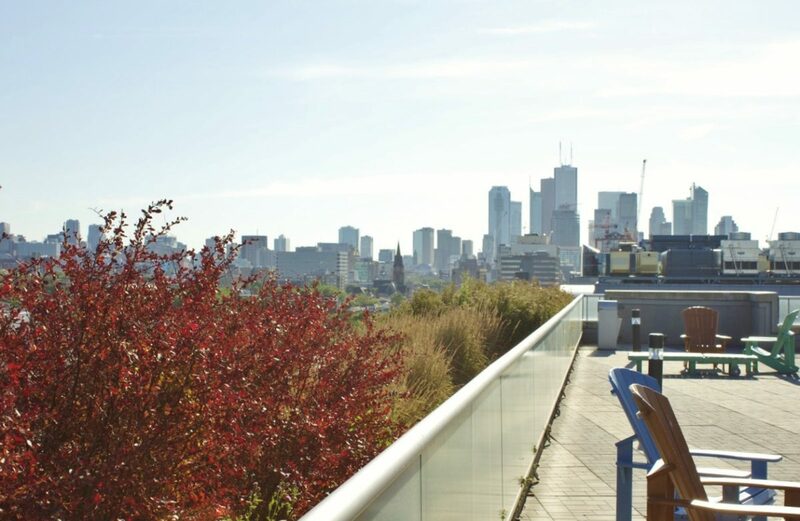 Canada is now recognizing the benefits of green roofs and they are becoming popular both for the home owner and commercial builder. 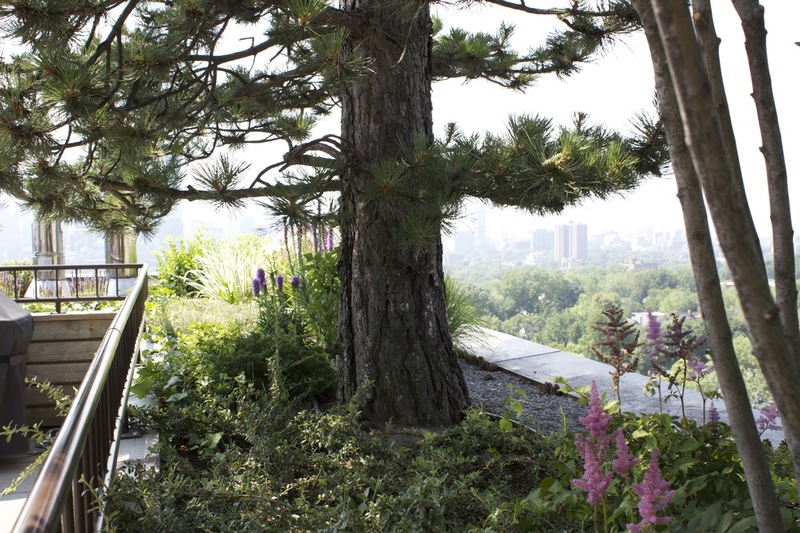 Current legislation is also adding value to green roof installations through tax incentives. 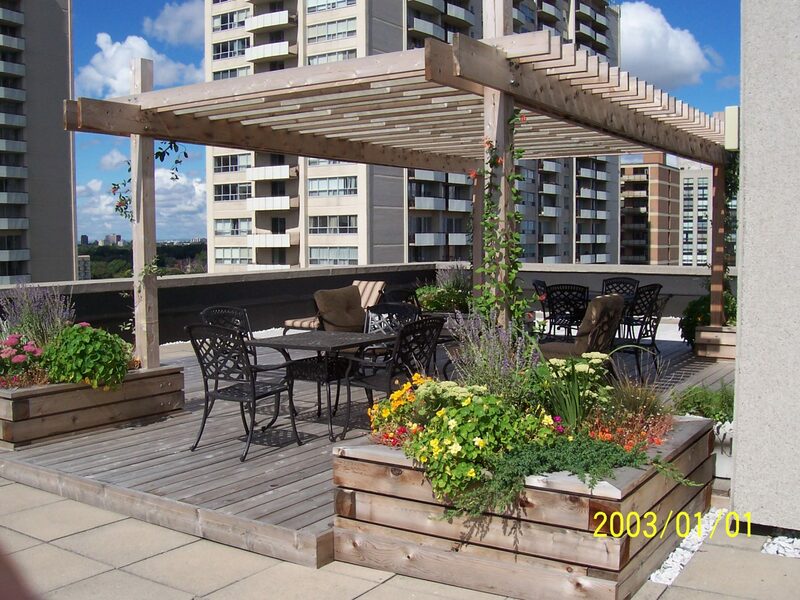 A green roof is defined as a contained green space on top of a man made structure below, above or at grade. Similar to landscaping at the ground level, it is essential to have a design and a plan. A lot of questions need to be answered before the design can be started. This is considered the pre design stage. 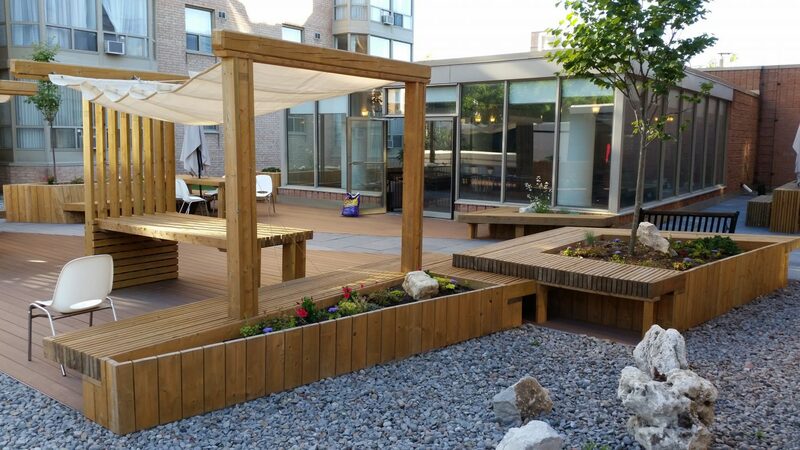 The pre design stage should determine the scope of work by identifying design objectives like walkways, planting, water features, and accessibility along with determining budget and green roof category. 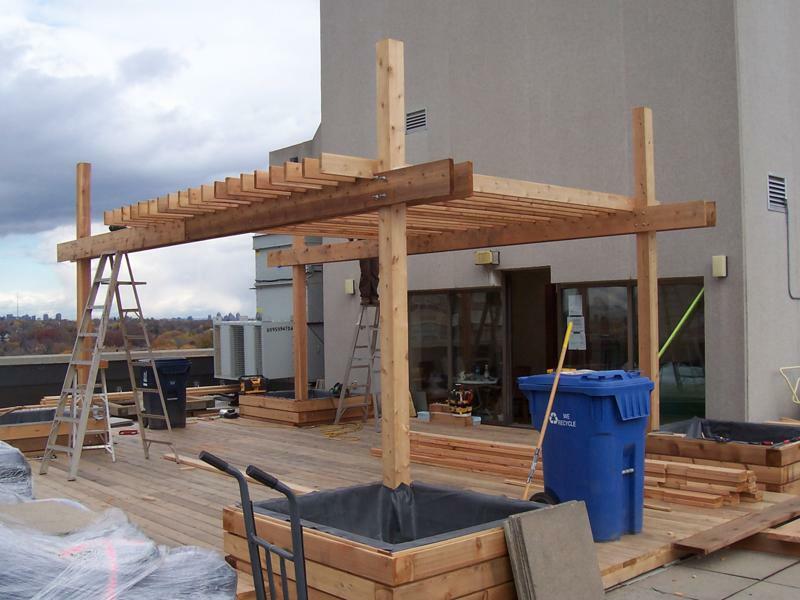 Once the pre design phase is complete, a green roof team comprised of experts from various fields including a Green Roof Professional is assembled. The time schedule is assessed, budgets and operating cost benefits are determined and a site analysis is performed. The site analysis includes examining weather micro climates, structural loading, the current roof and roof membrane. Every green roof has these essential components: vegetation, growing medium, drainage layer and filter fabric, root barrier, waterproofing membrane and structural deck. They can be installed as modular systems or loose laid systems or built-up systems or in a combination of these approaches. With green roof design, there are two primary objectives, ensuring the integrity of the waterproofing system, both with installation and longevity while the roof is in place, and ensuring the survival of the plant life. Accessibility influences installation, use and maintenance. Structural loading capacity determines what can go on the roof. Drainage is also an integral consideration when designing a green roof. The system needs to be designed to facilitate water run-off from the roof. Landcare’s design process for green roofs is a three step process. In the initial consultation, the client’s requirements and “wish list” are discussed. This will determine the type of green roof system to use and which outside professionals will need to be contracted. A second meeting provides the design concept and a final meeting presents working drawings and an estimate for the project to the client. 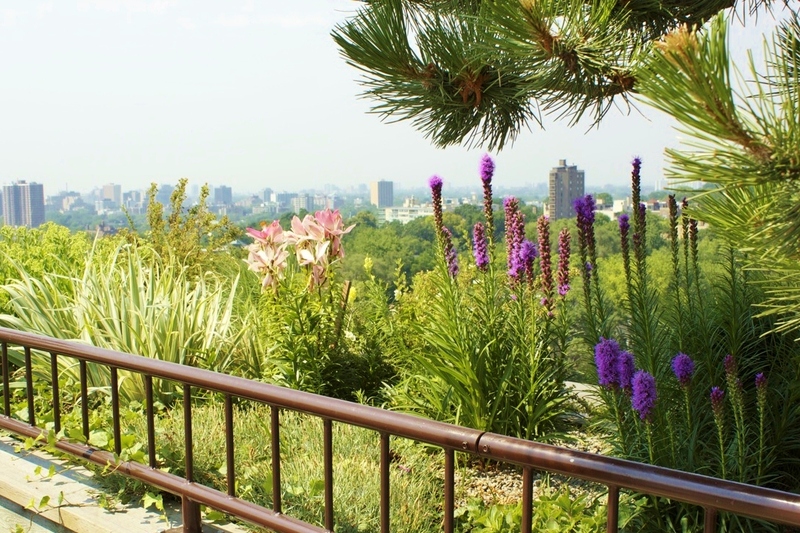 Green roofs seemed to be a natural extension of Landcare’s interest in the environment. Why limit oneself to the ground when there are millions of square feet of roof yet to be covered with vegetation. To enter the foray of green roof installation, Landcare’s owner, Rob Crysdale, became an accredited Green Roof Professional (GRP). Since then, Landcare has designed, installed and maintained projects for Steam Whistle Brewing Company, Brookfield Management, Pro House Management and residential clients.